Save now with great coupons! 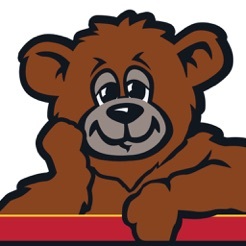 Save money at Cubby's with great coupons on gas, snacks, and more! 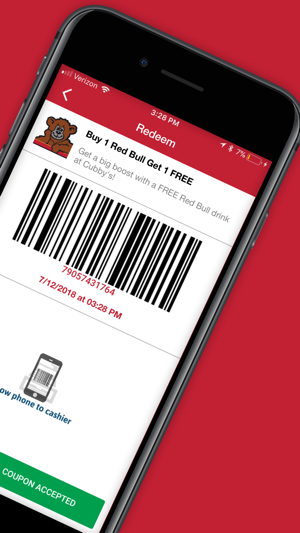 Simply tap the orange redeem button and show your phone at purchase to redeem your coupons. 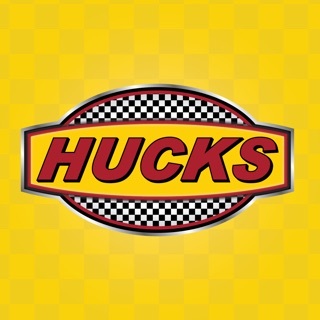 Special, limited time, offers are only accessible via this easy to use app powered by RoverTown. 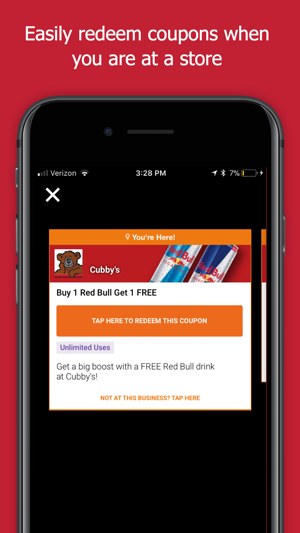 Find nearby stores and get notified of nearby coupons. 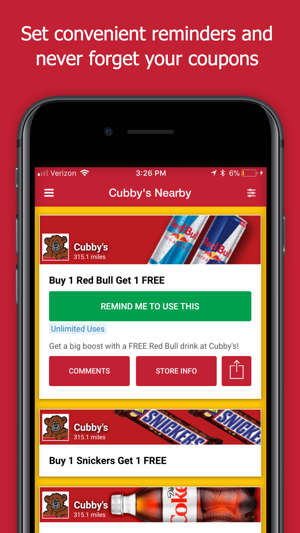 The Cubby's App uses GPS and beacons to find nearby coupons. Continued use of GPS running in the background can dramatically decrease battery life. 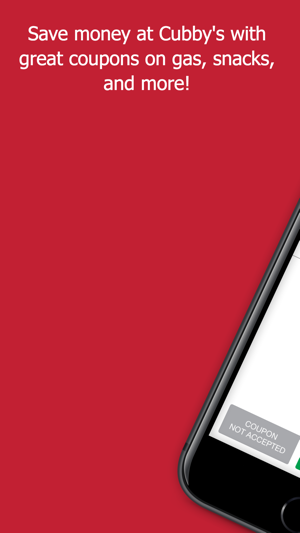 Easily set coupon reminders and never forget your coupons at home again. 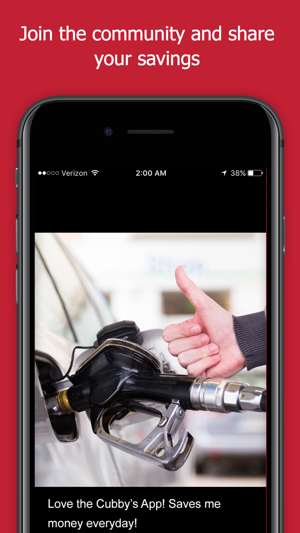 This app is simple to use and saves me money. Thanks, Cubby's!